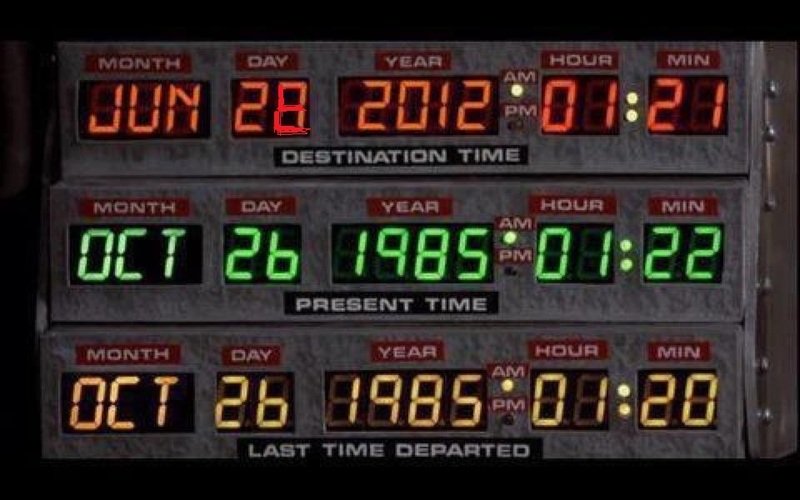 Some people were fooled yesterday into believing that June 27th, 2012 was future date Marty traveled to. Fortunately I have the real screen shot. You are welcome. Actually, they went to 2015. Exactly 30 years ahead. In the first one they went exactly 30 years into the past, to 1955.